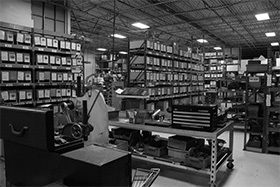 CRS began manufacturing components for hydraulic pumps in 1972. When we acquired the Gresen line in 2003, we used the experience to significantly enhance the performance of this already highly regarded product. 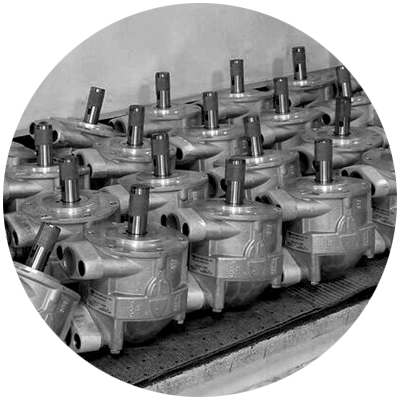 Through high-consistency manufacturing processes and mechanical engineering improvements, we’ve made Gresen pumps more efficient, quieter and more durable. Gresen pumps have been a hydraulics industry workhorse for many years and are built to stand up to the toughest operating environments. With displacements ranging from .577 to 4.62 cubic inch per revolution and continuous operating pressures up to 1500 pounds per square inch, Gresen pumps are ideal for a wide variety of applications. One of the secrets to this pump’s toughness lies in its special cam-ring. 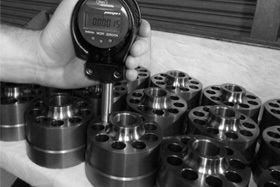 The cam-ring is one of the most critical components in a vane pump – the life of the pump is directly related to how well the cam-ring handles wear, heat and contamination. A proprietary mix of materials in combination with special heat treatment procedures makes the most durable cam-ring available. This special mix, in the words of the metallurgist, creates an extremely uniform metalurgical microstructure resulting in excellent wear characteristics. 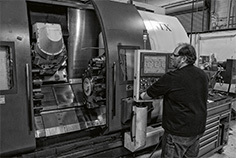 Combining the benefits and efficiencies of a hydraulically balanced vane pump with a light weight, weather resistant housing and the lowest cost per cubic inch displacement, the Gresen TC series of vane pumps are ideal for applications requiring consistent efficiencies, wear compensation, high contamination tolerance and long product life-cycles. Displacements: 2.31 to 4.62 cid; 37.8 cc to 75.7 cc.